Groups are helpful to keep the many items in your scene organised and grouped together. They’re like a “folder”, even though you’re not really moving items to another place. They just appear together with a heading and a disclosure triangle. For example, rather than having a character and five independent clothing items, it’ll be much easier to move all this if it’s part of a group. 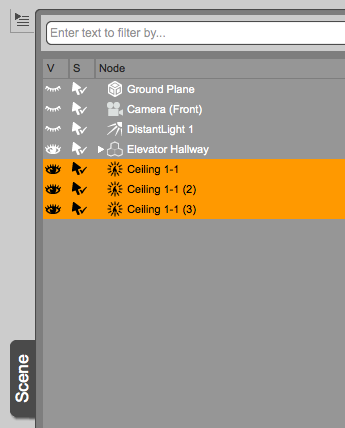 Or the 37 lights in your scene – perhaps they’re better off in their own group, labelled “lights”. 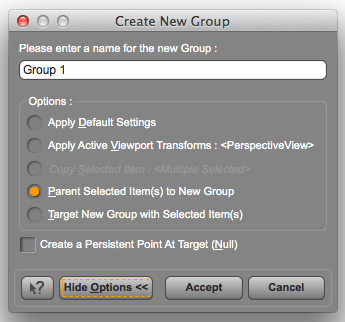 Here’s how to create Groups in DAZ Studio. Select the items you’d like to add to a group from the Scene Tab. Now head over to Create – New Group. This will open a dialogue so you can name your group sensibly. All items you had previously selected will be added to the group. You can drag other items into the group. or drag items from the group back into the main tree (it’s called the root node), or drag items from one group into another. You can also drag items on top of each other, creating other group hierarchies. Groups help keep your Scene Tab more manageable. Select the group and move the entire contents with one handy manipulator, without having to select multiple items. 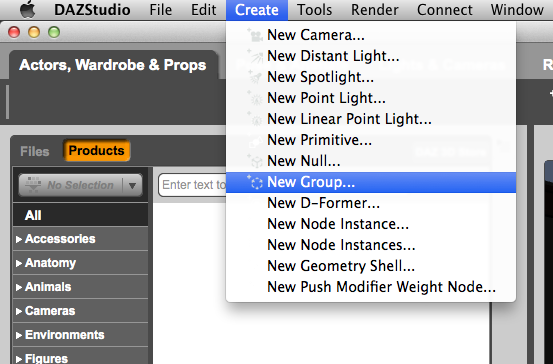 To duplicate a group (and its contents), head over to Edit – Duplicate – Duplicate Node Hierarchies. The other option, Duplicate Node(s) will only duplicate the group but not its contents.